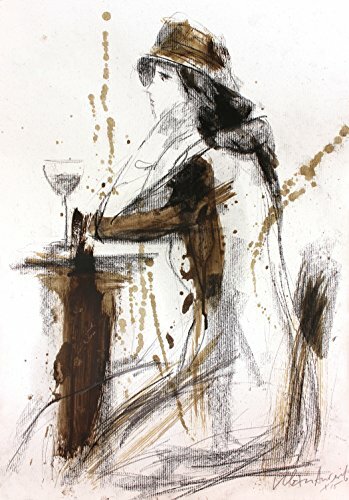 "Expectation" Original mixed media drawing on paper made by Ivan Angelov. Size: 18 x 13 inches. You can easily get it framed and it would look beautiful on your wall or it could be a great gift for an art admirer. We make our art with great passion and care so we would be glad if you like it, because it's made just for you!